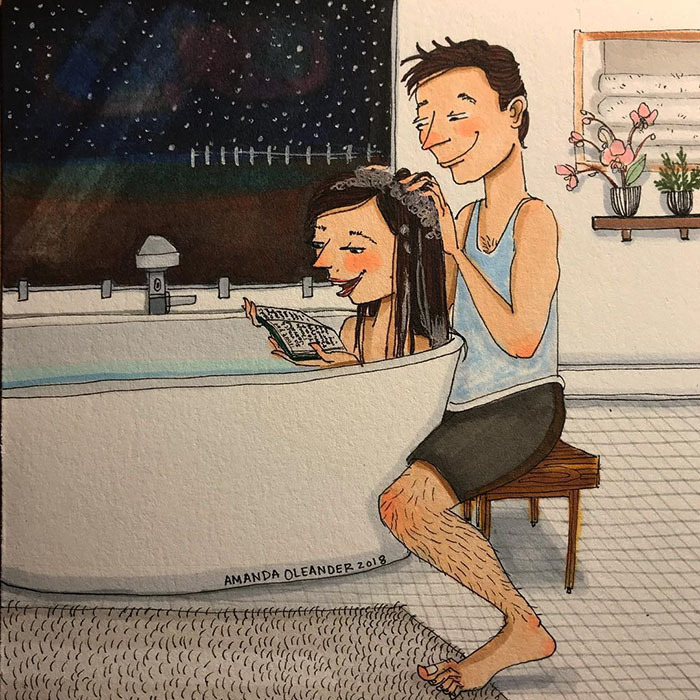 Love is in the small things. 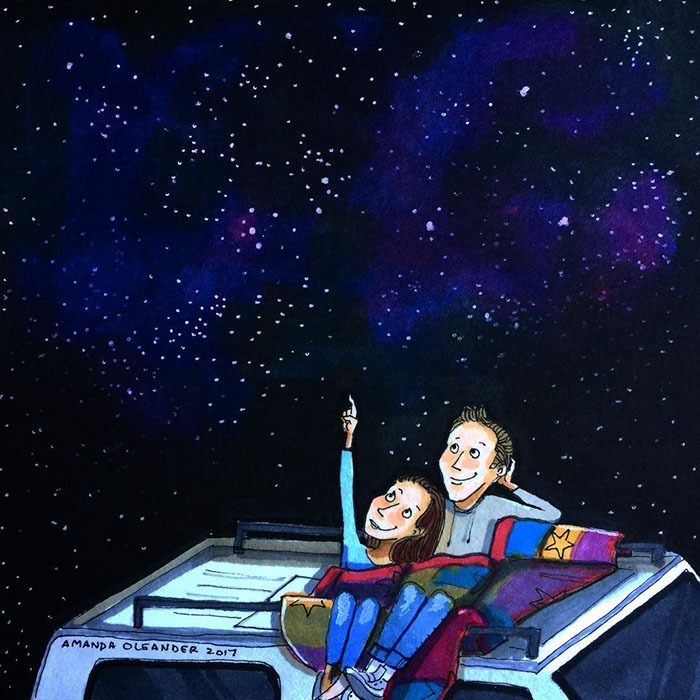 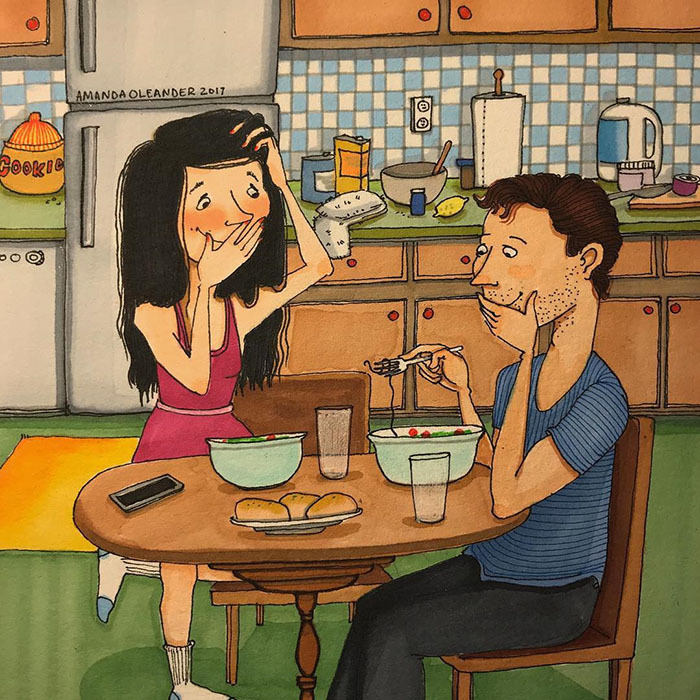 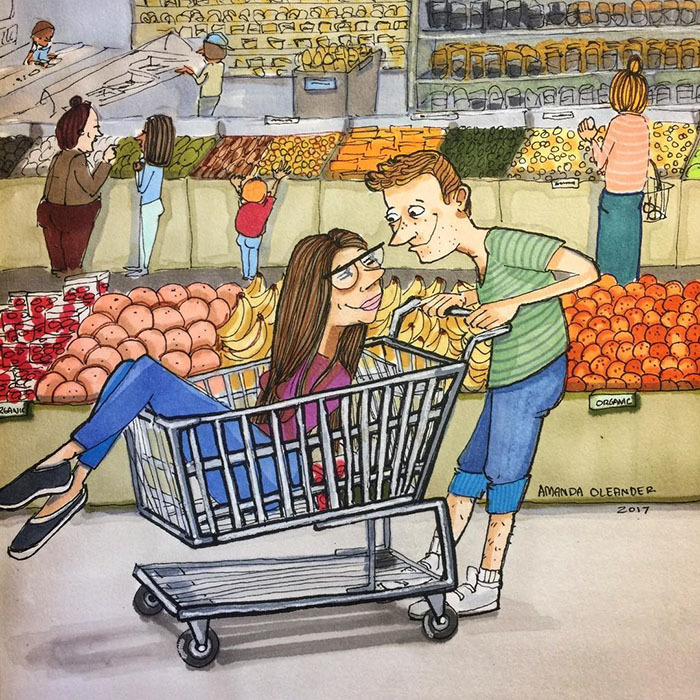 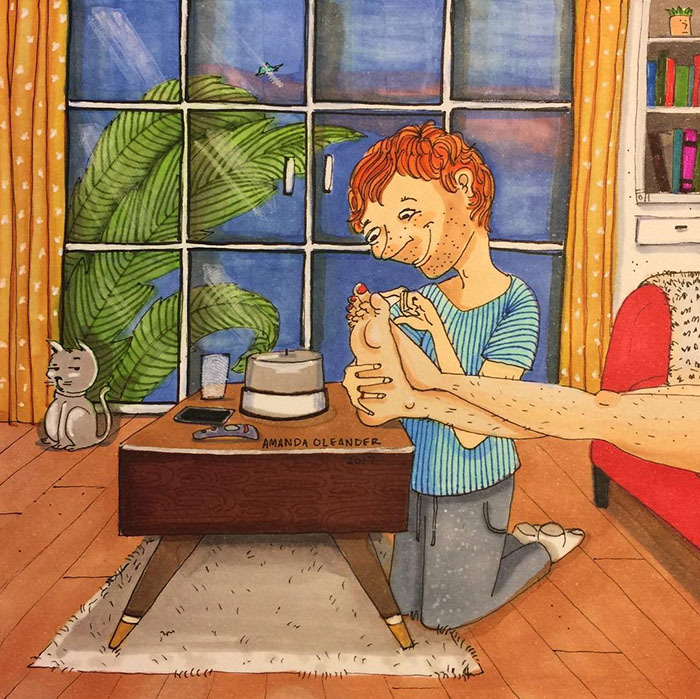 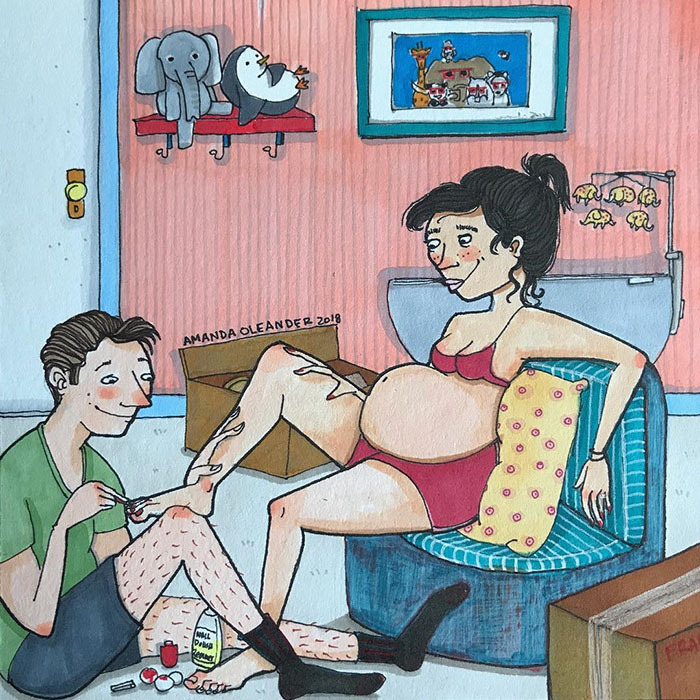 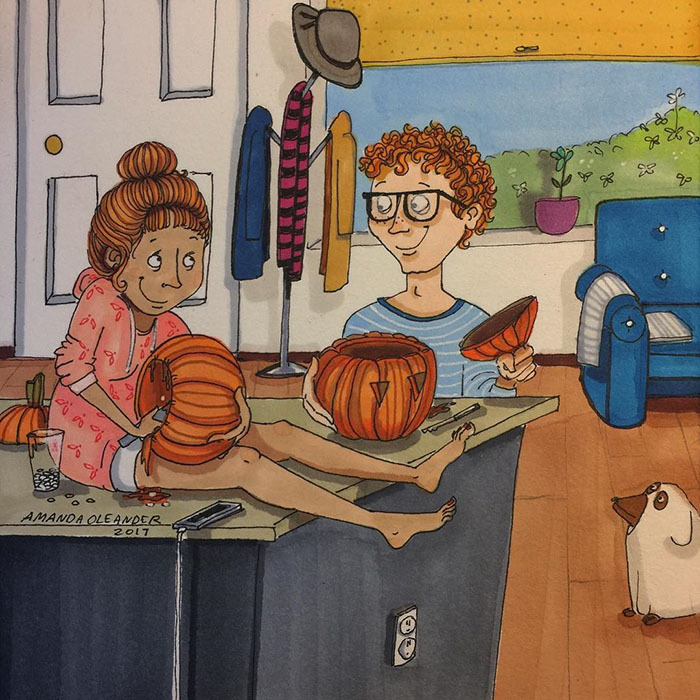 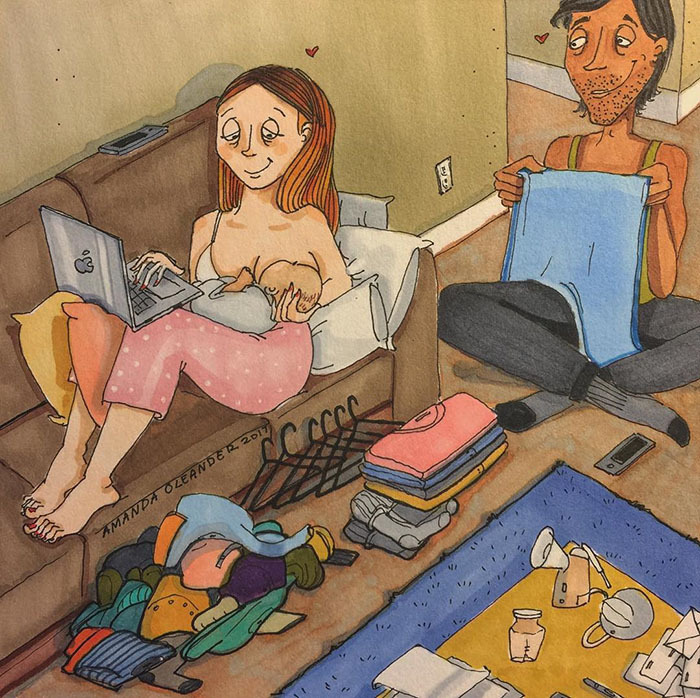 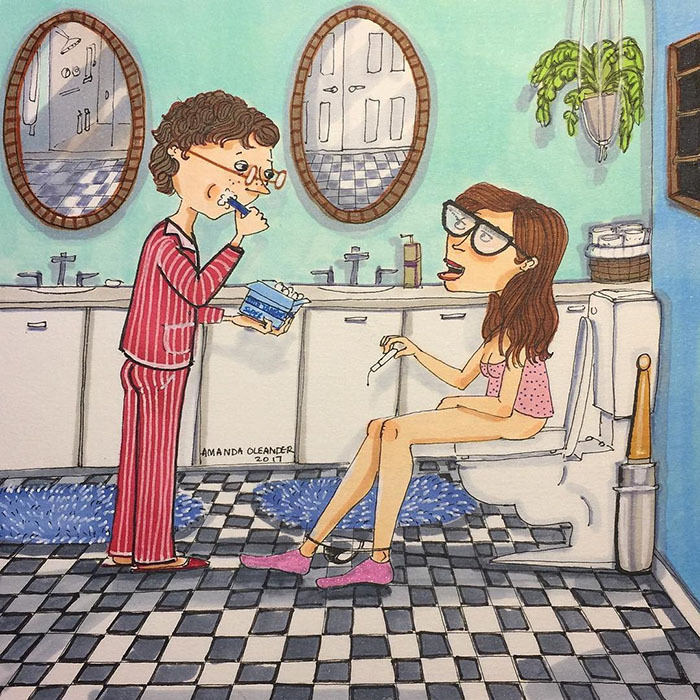 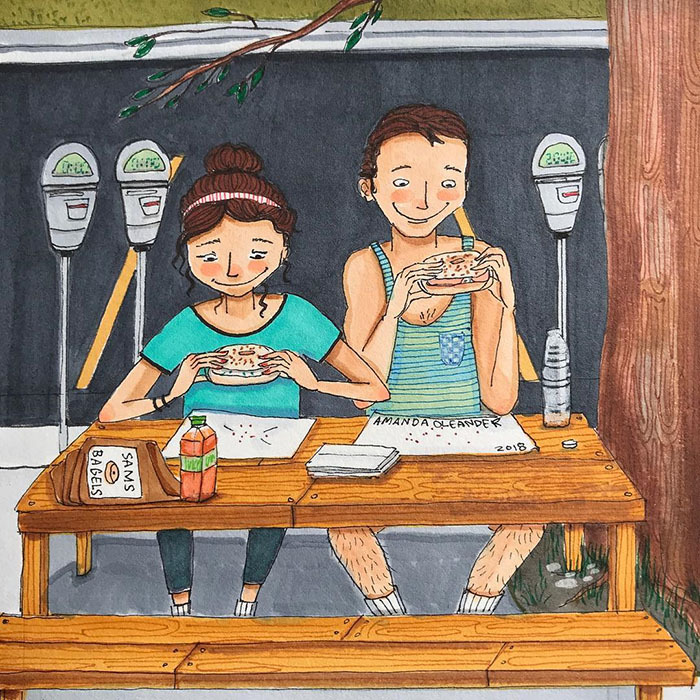 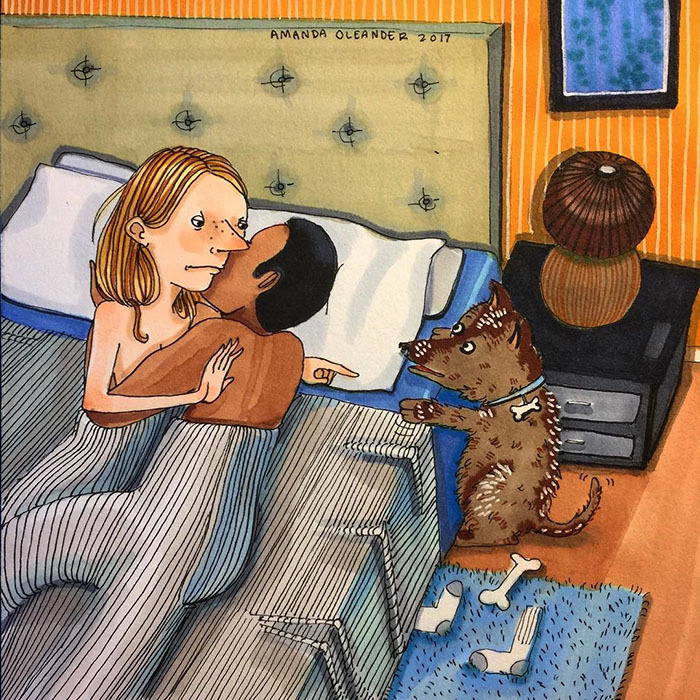 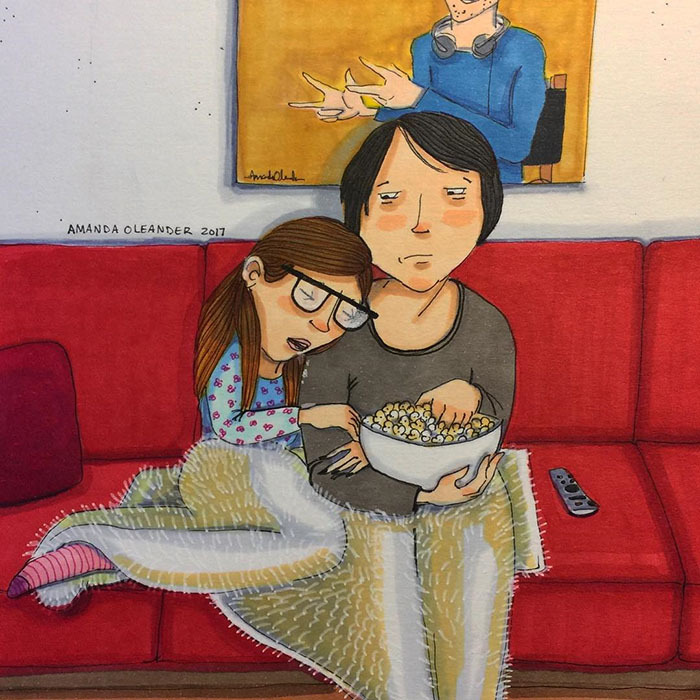 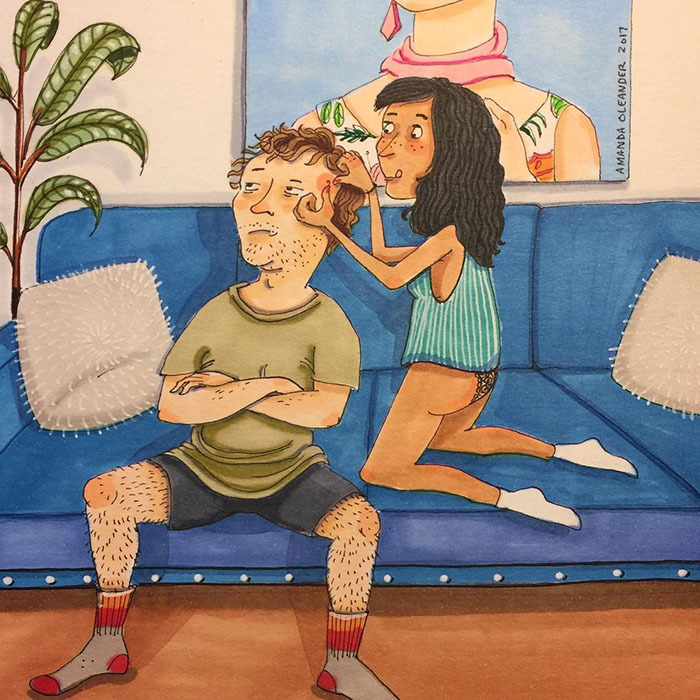 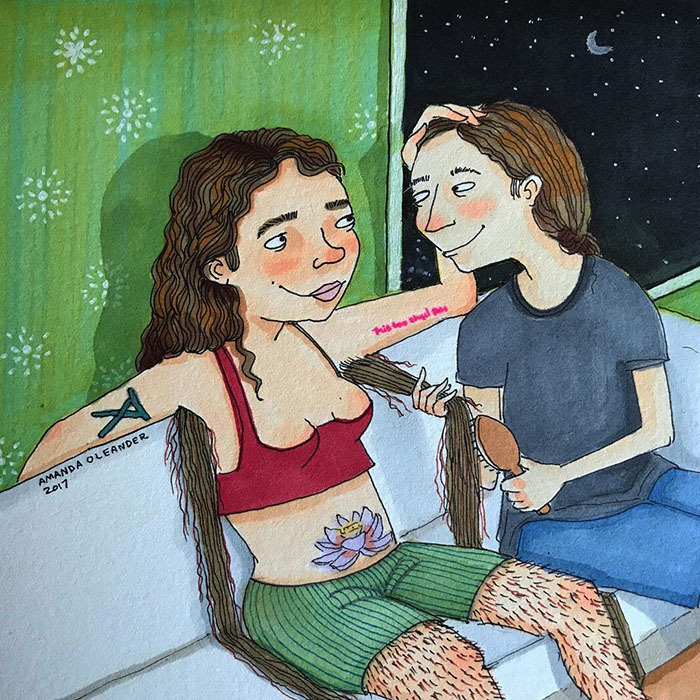 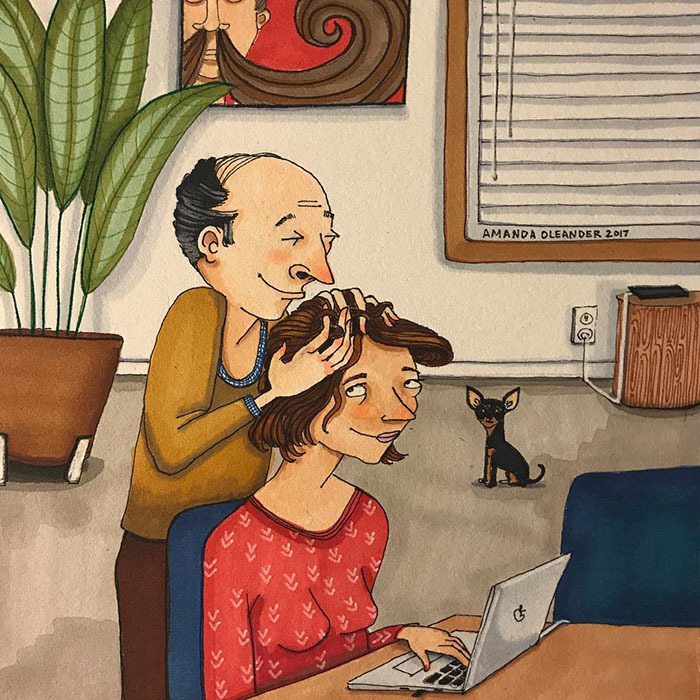 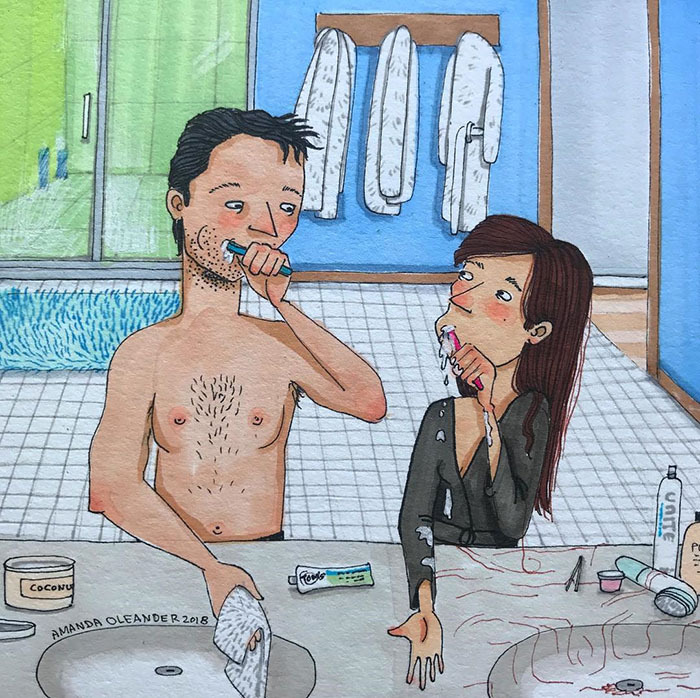 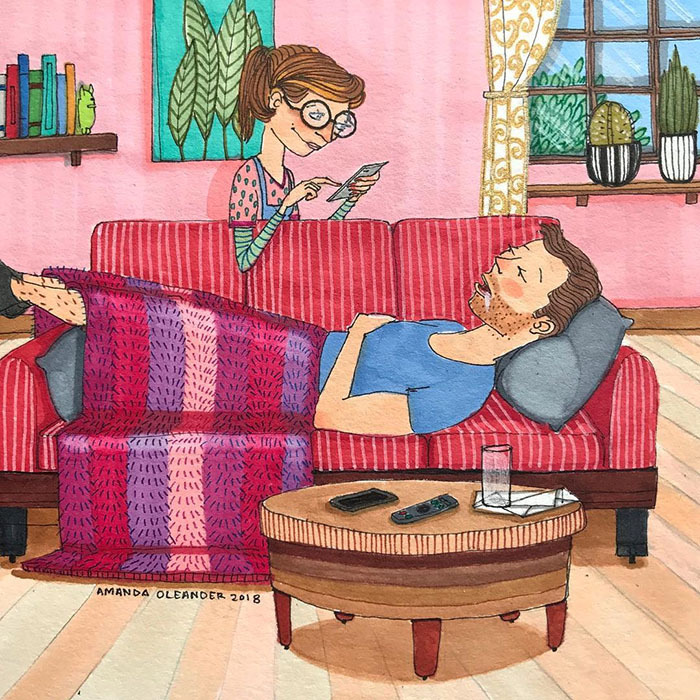 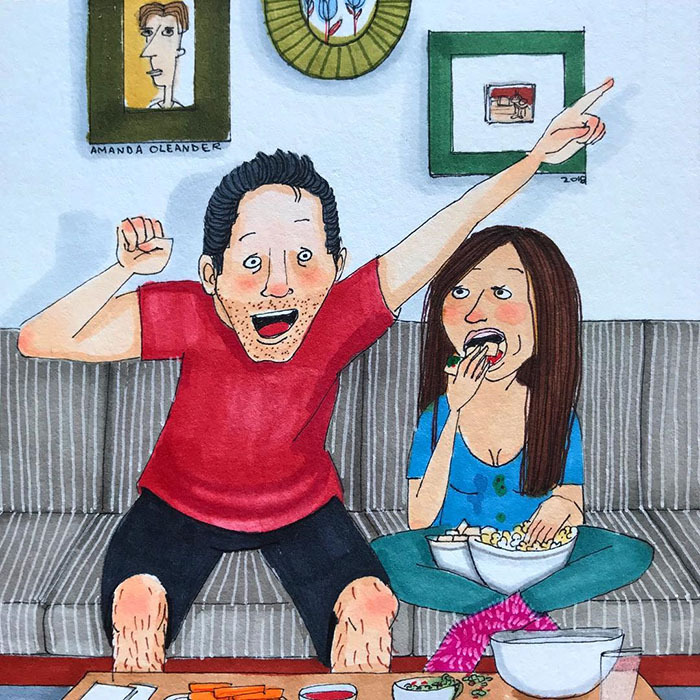 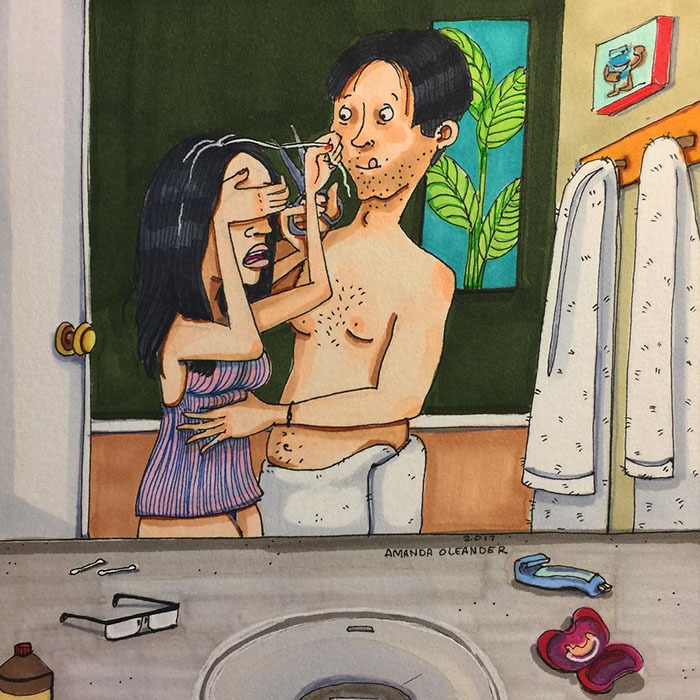 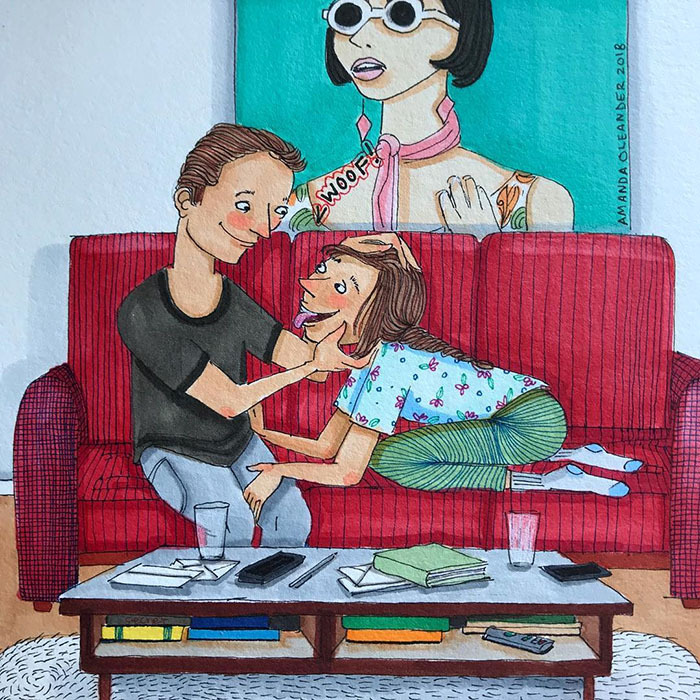 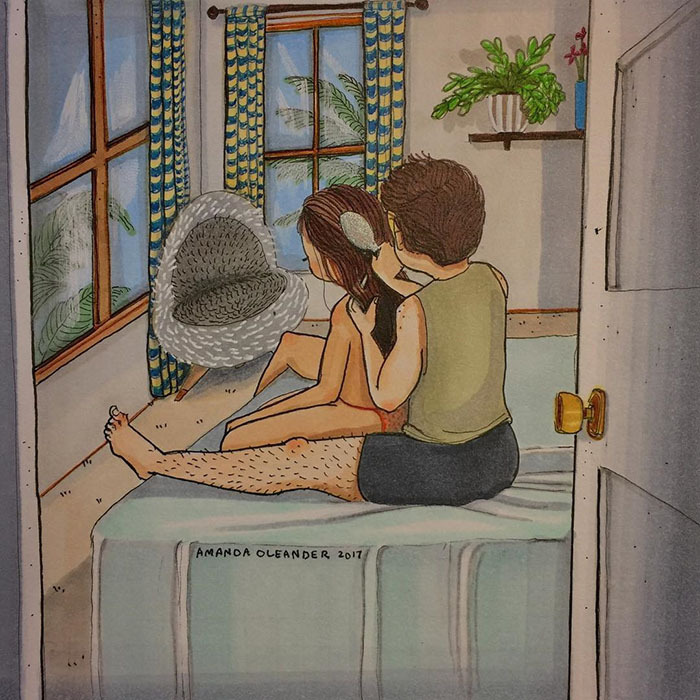 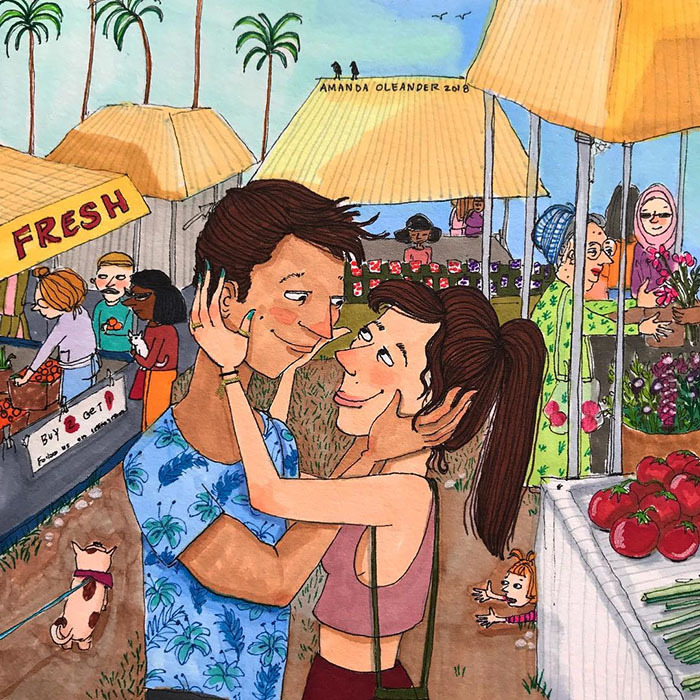 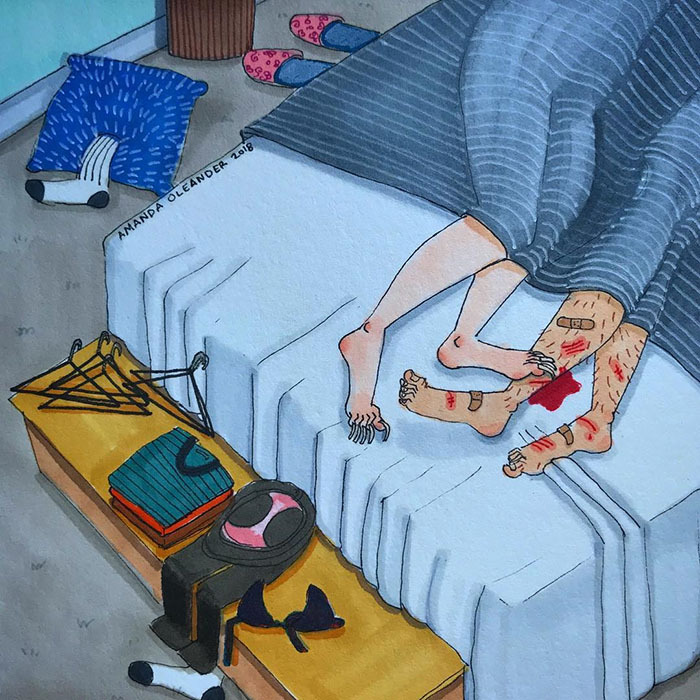 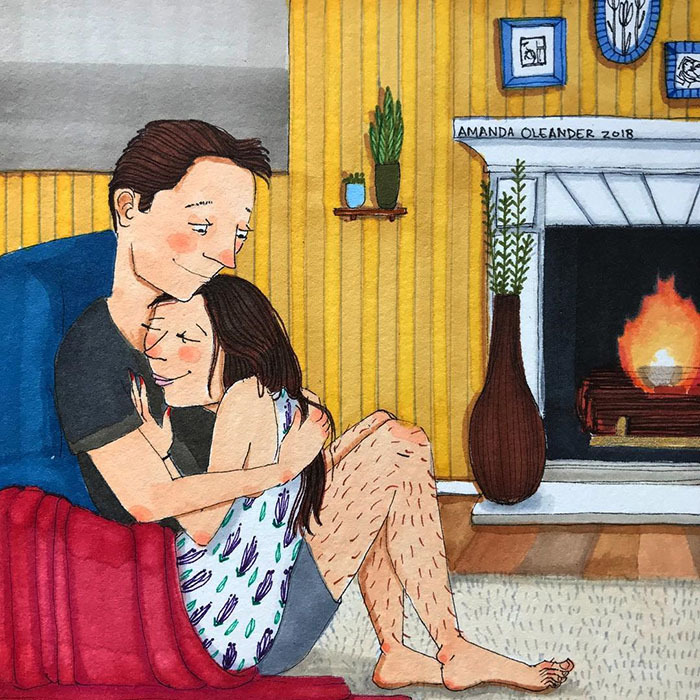 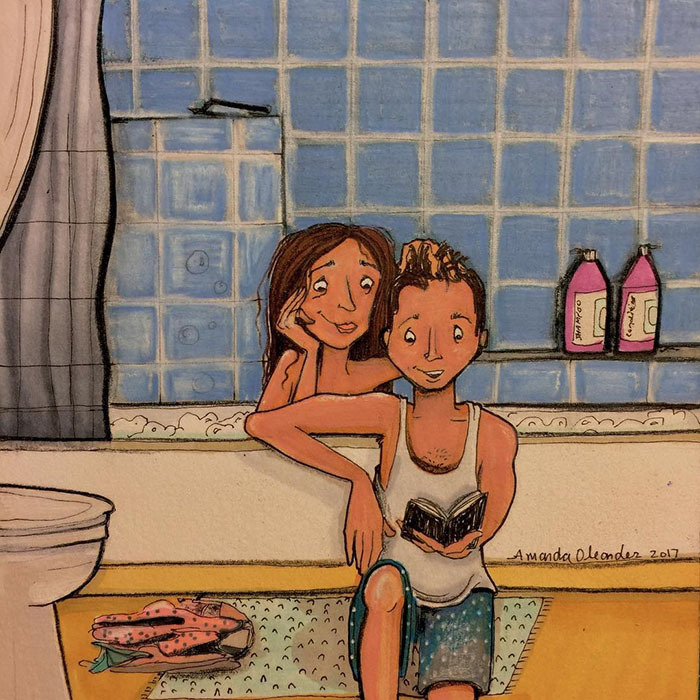 And Los Angeles-based artist Amanda Oleander captures these moments in her illustrations. 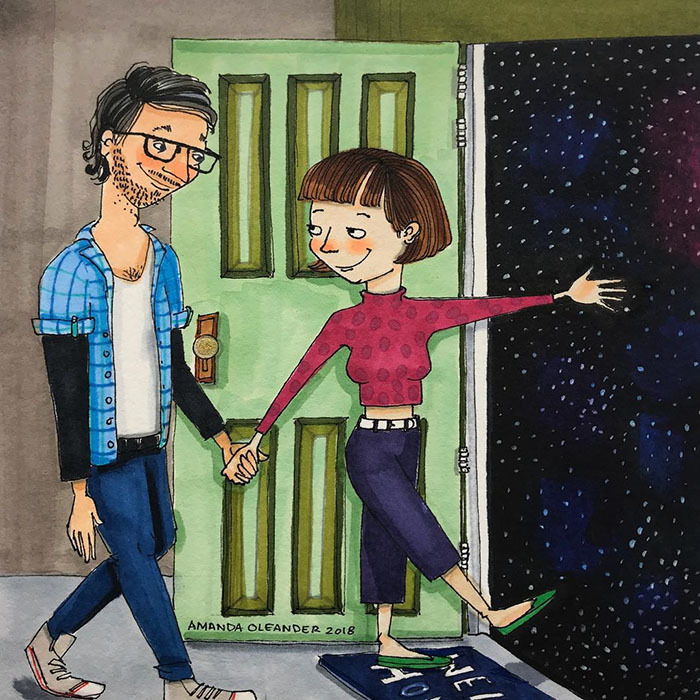 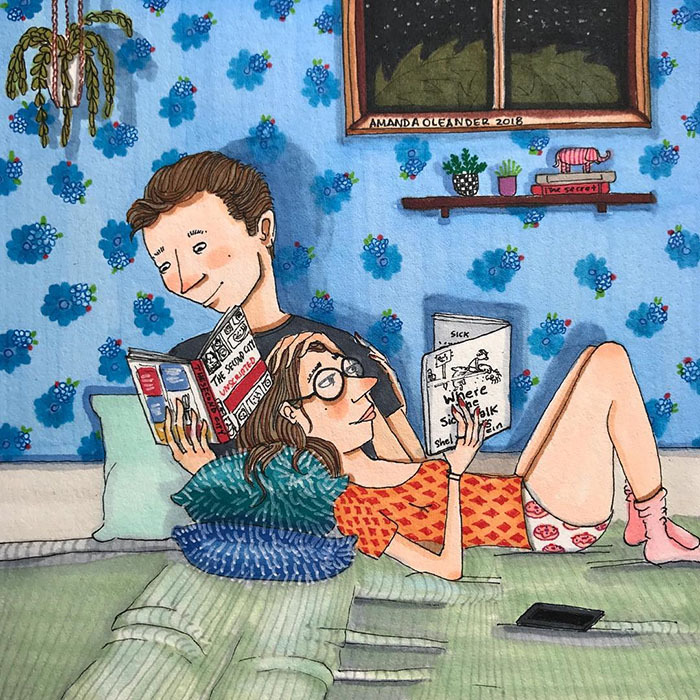 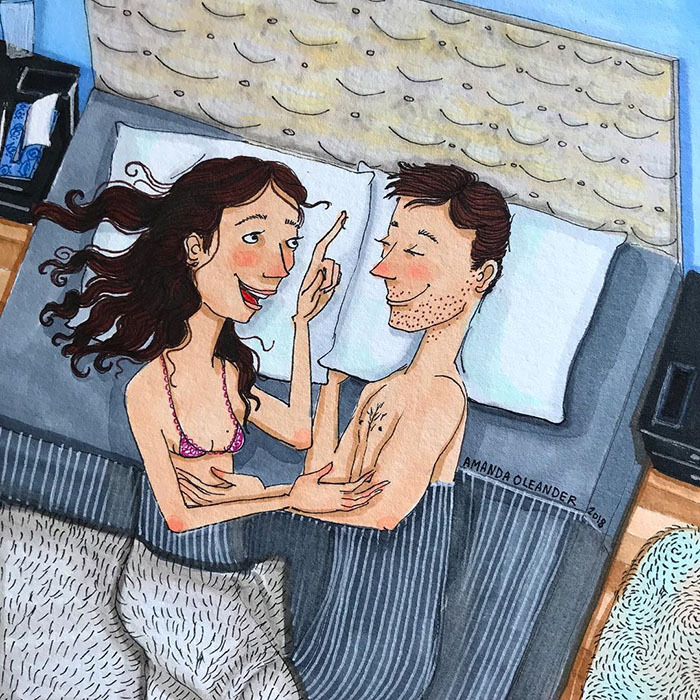 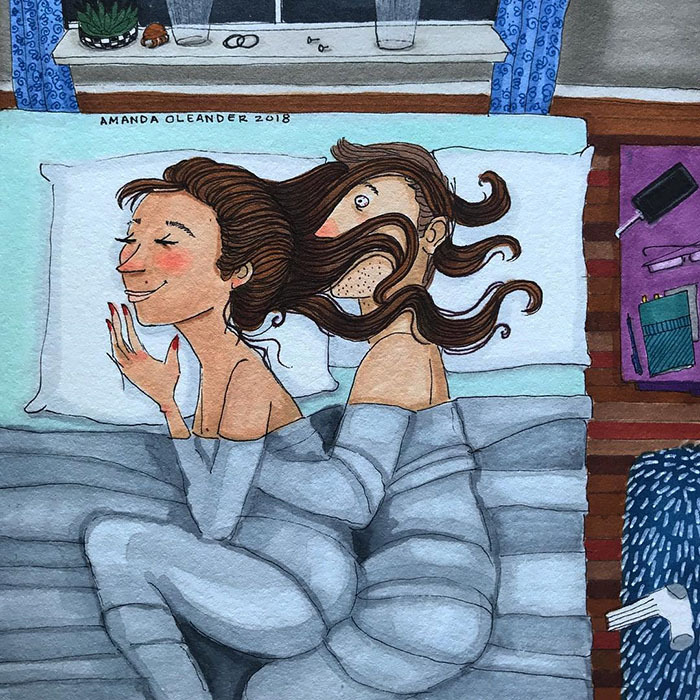 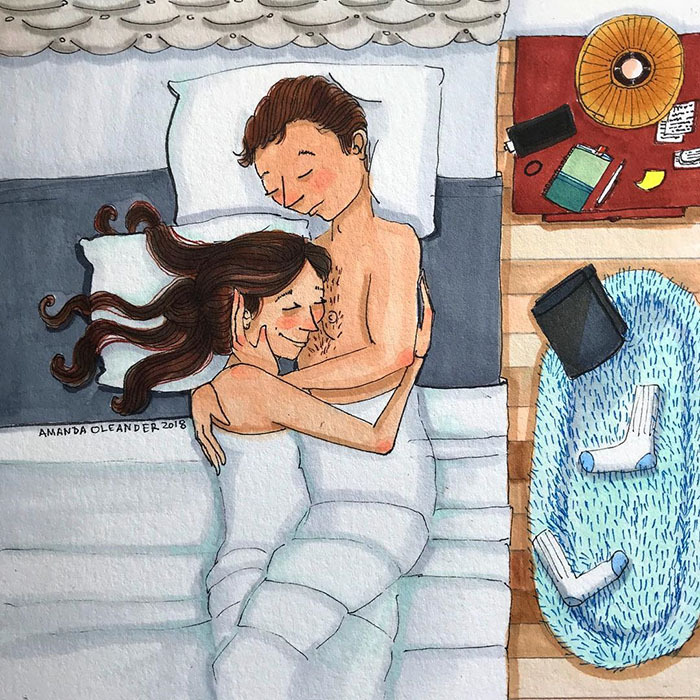 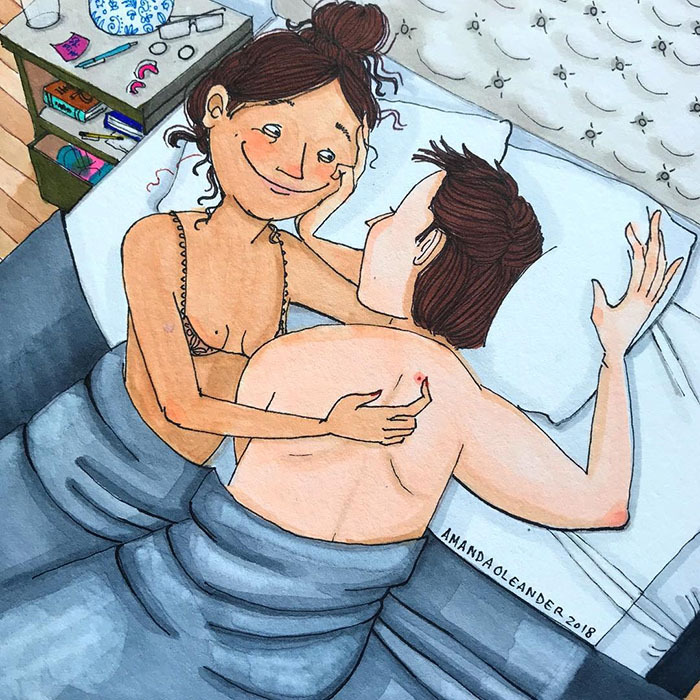 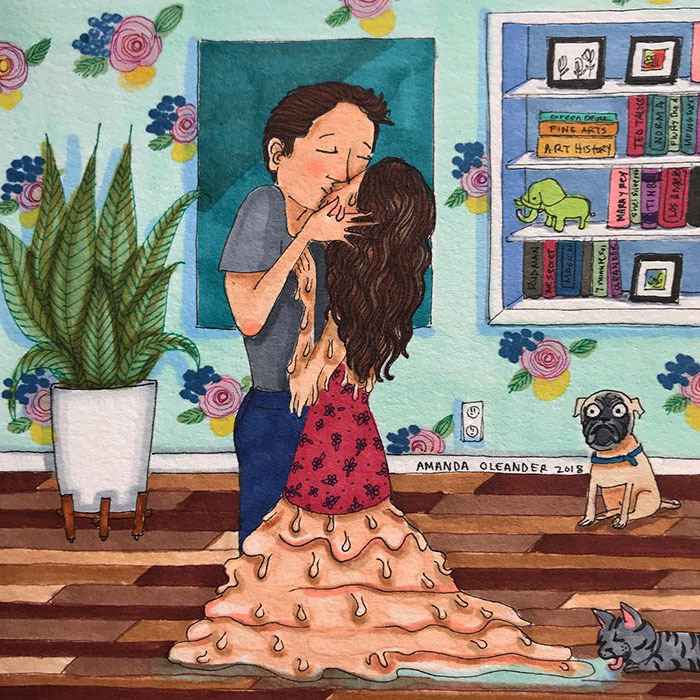 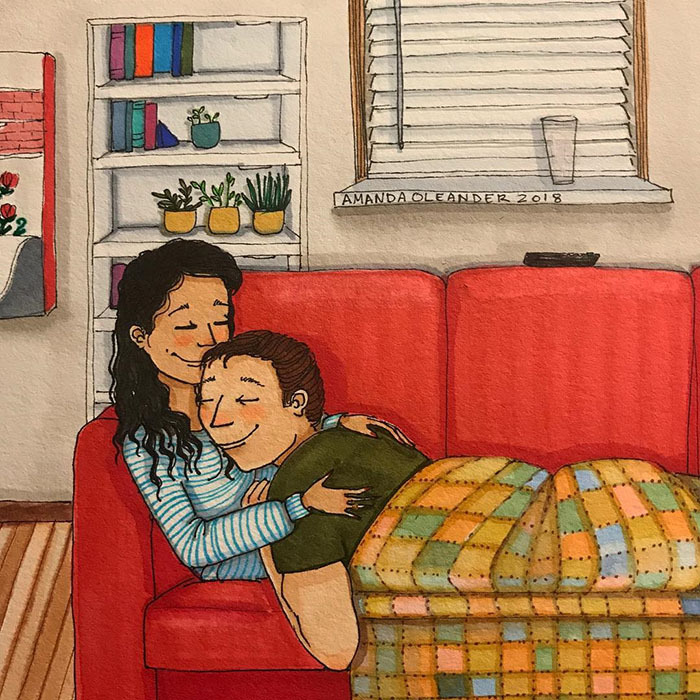 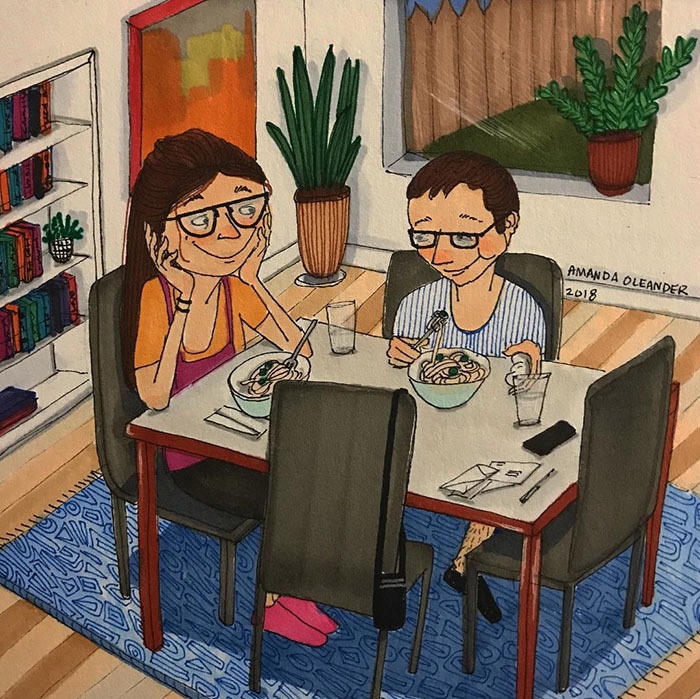 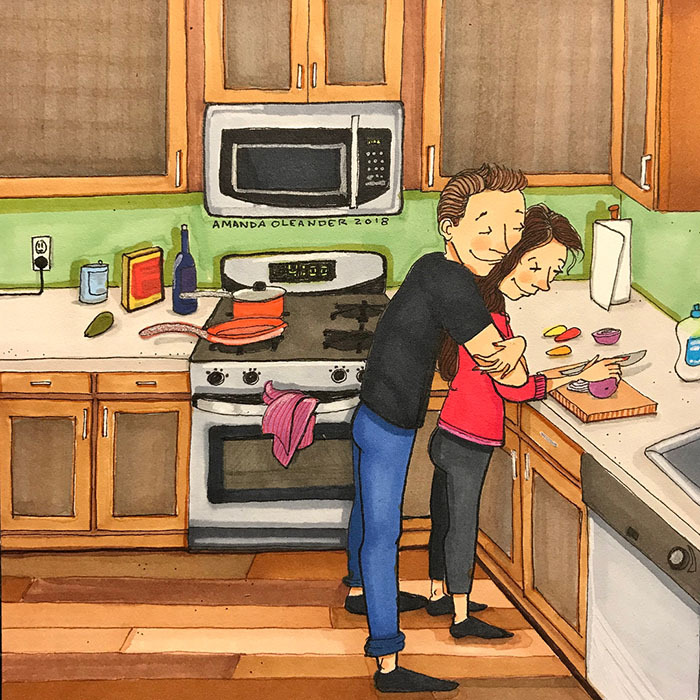 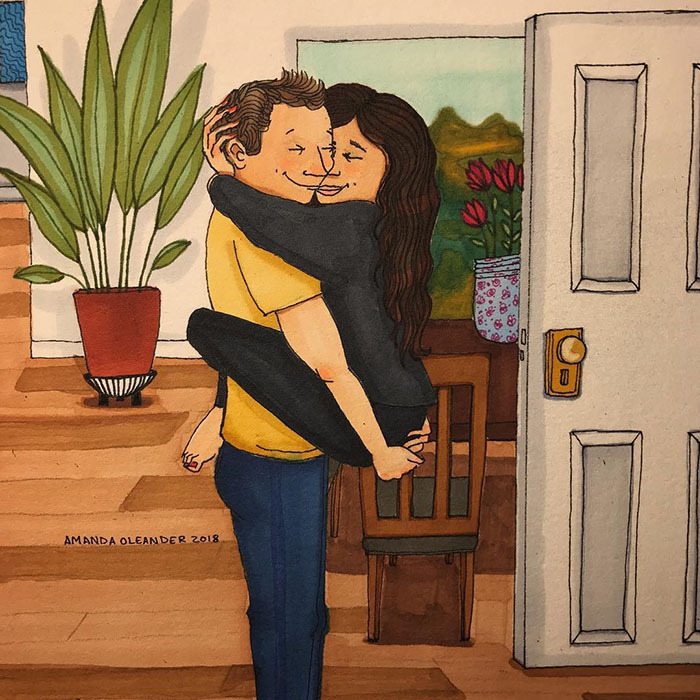 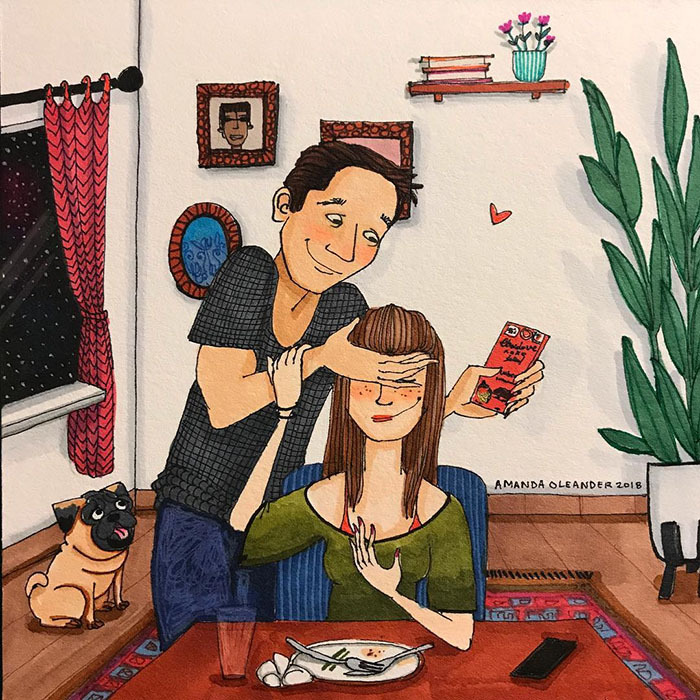 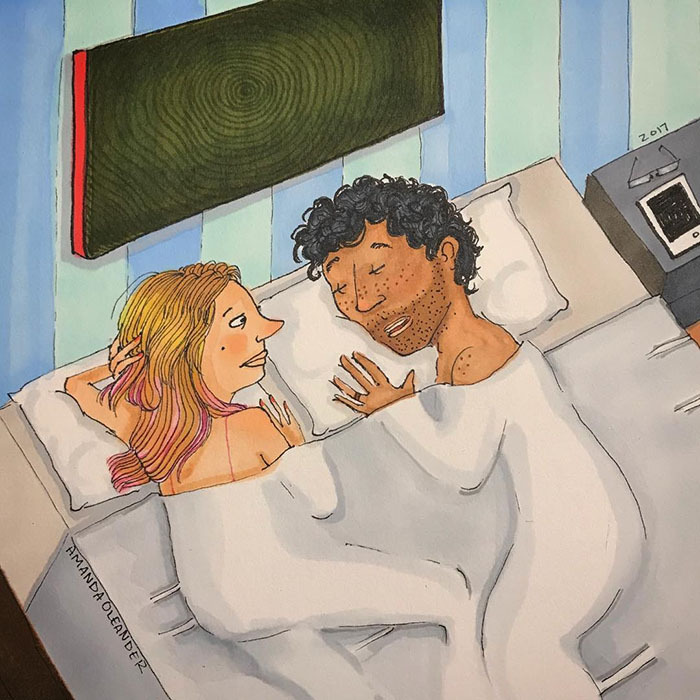 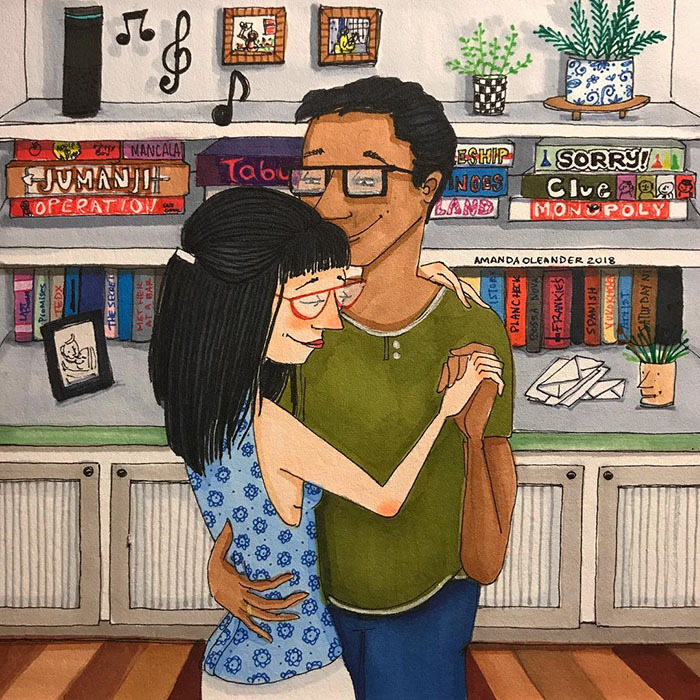 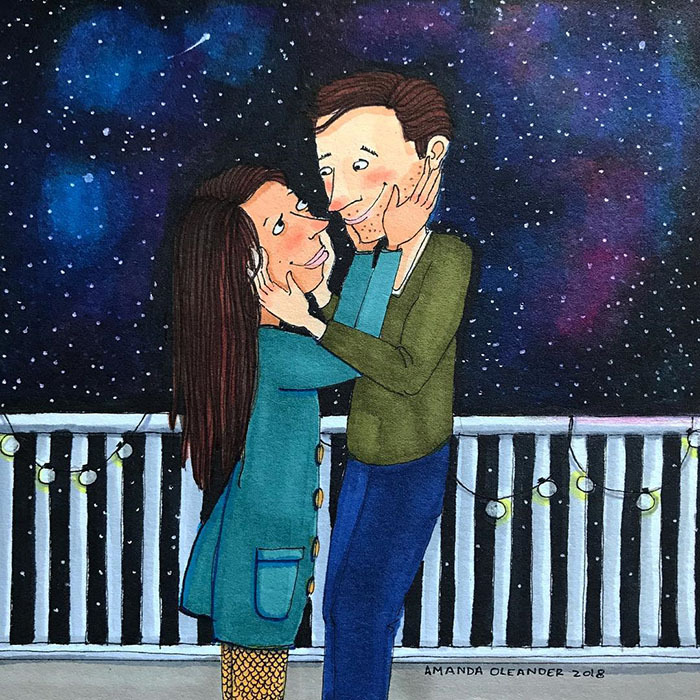 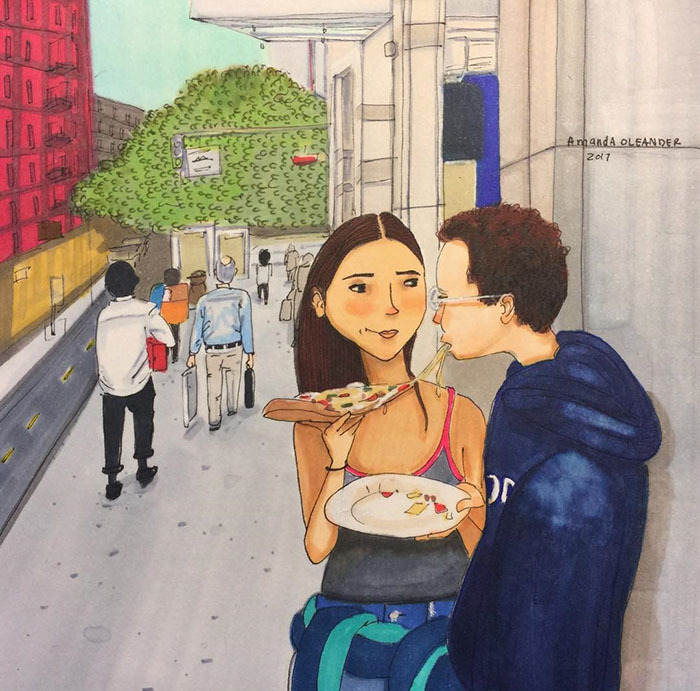 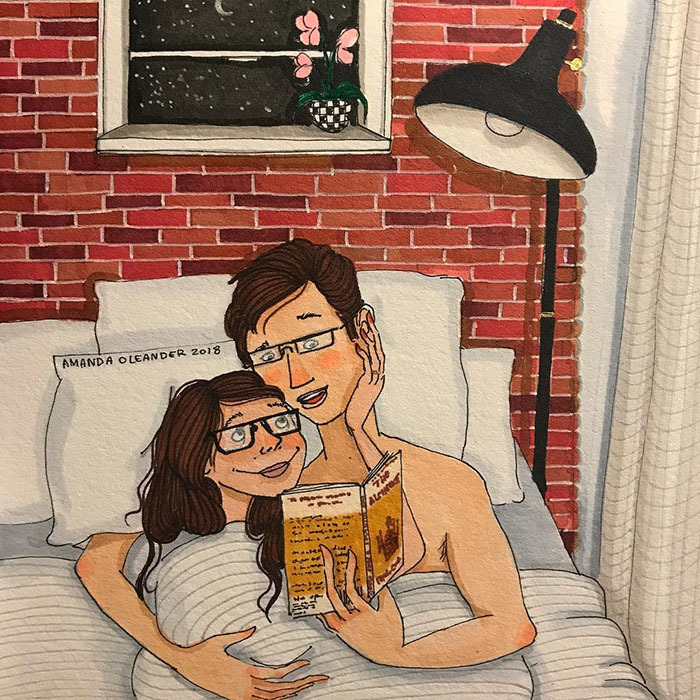 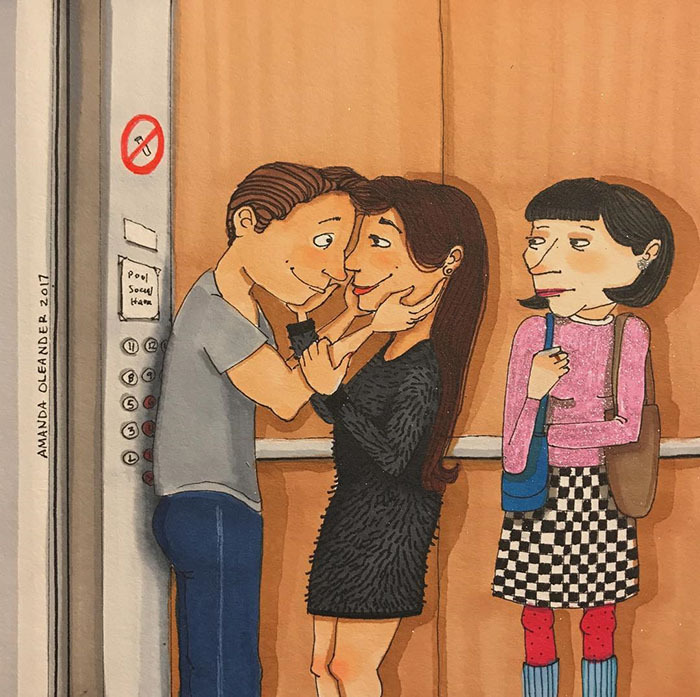 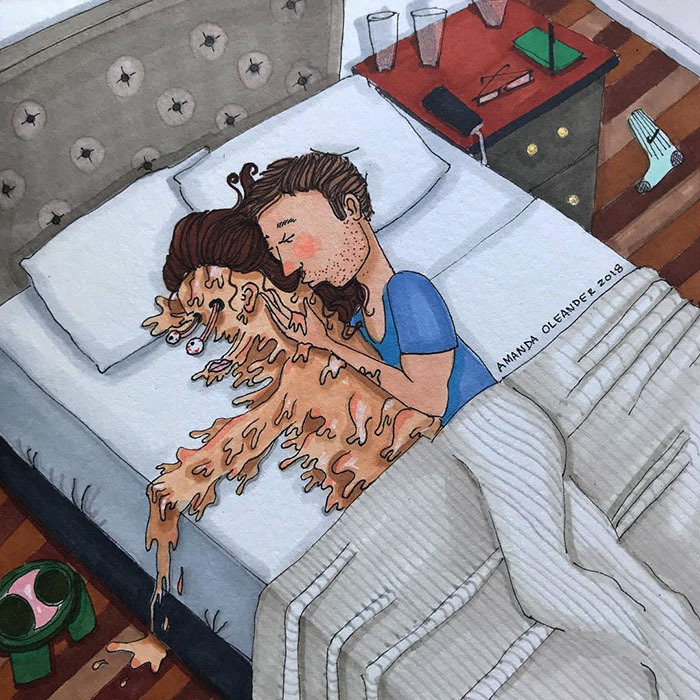 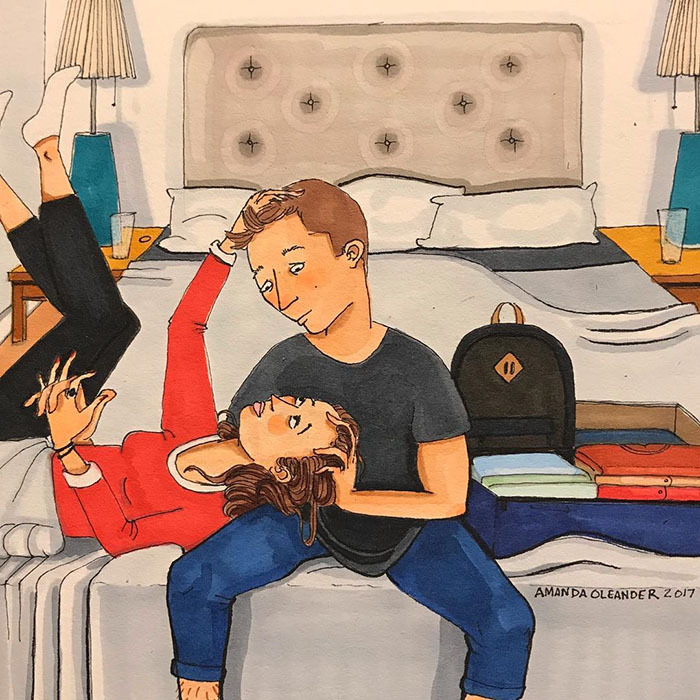 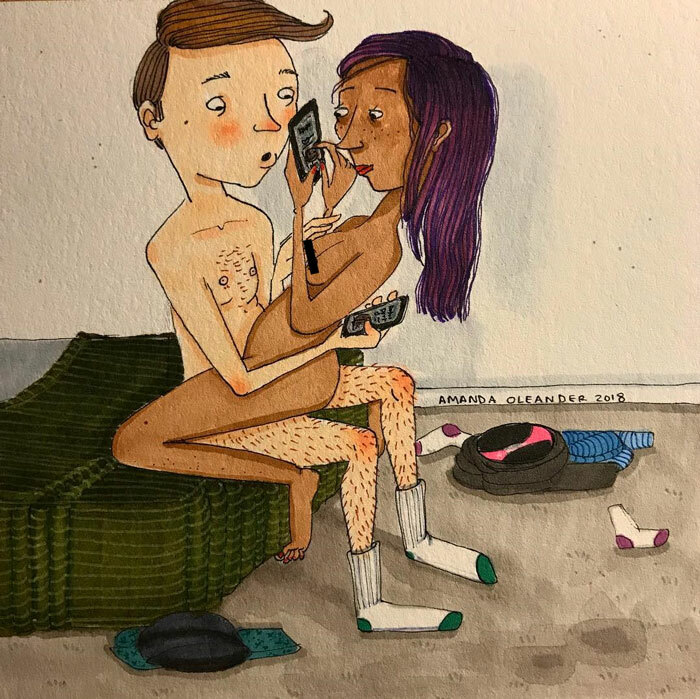 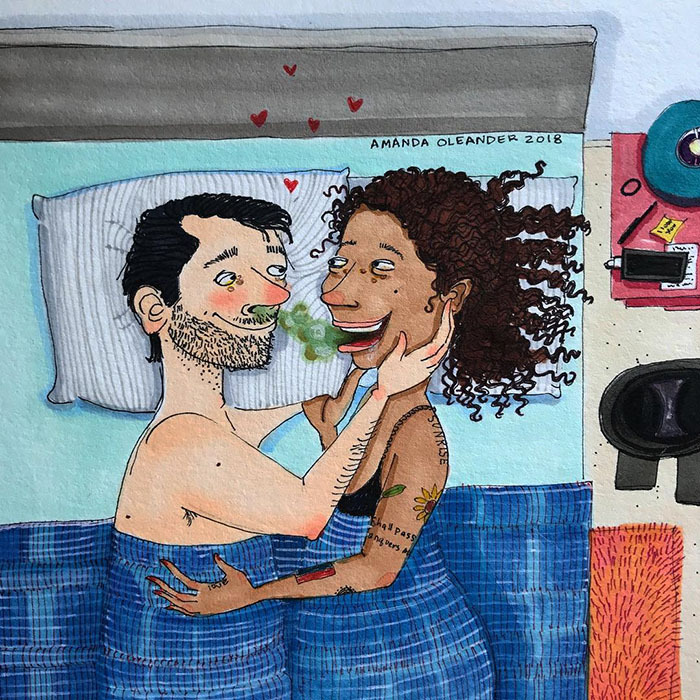 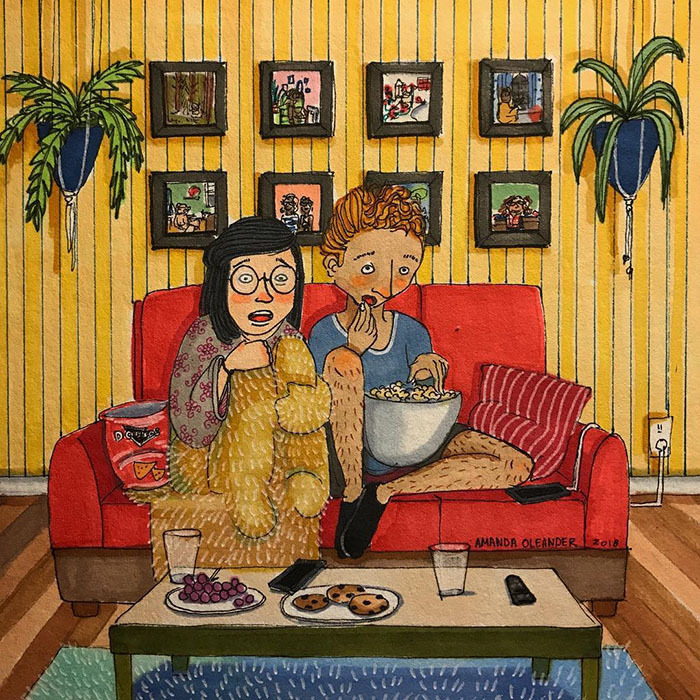 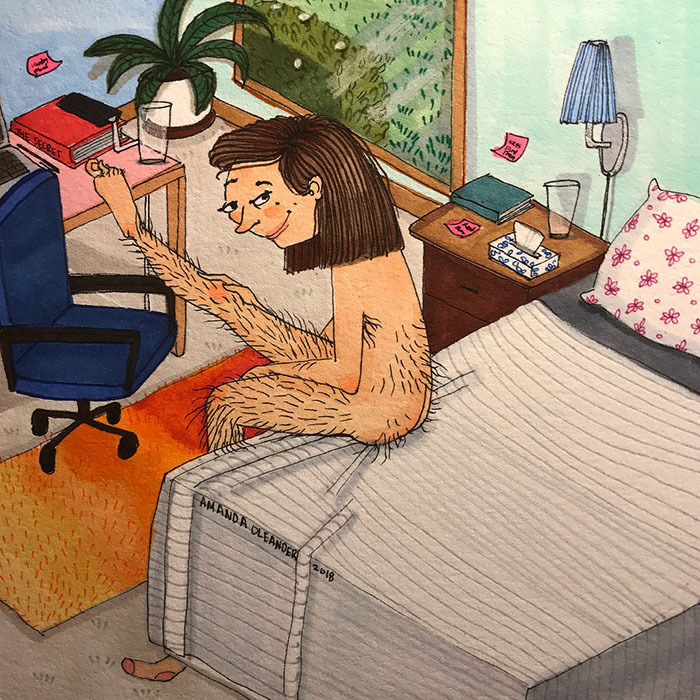 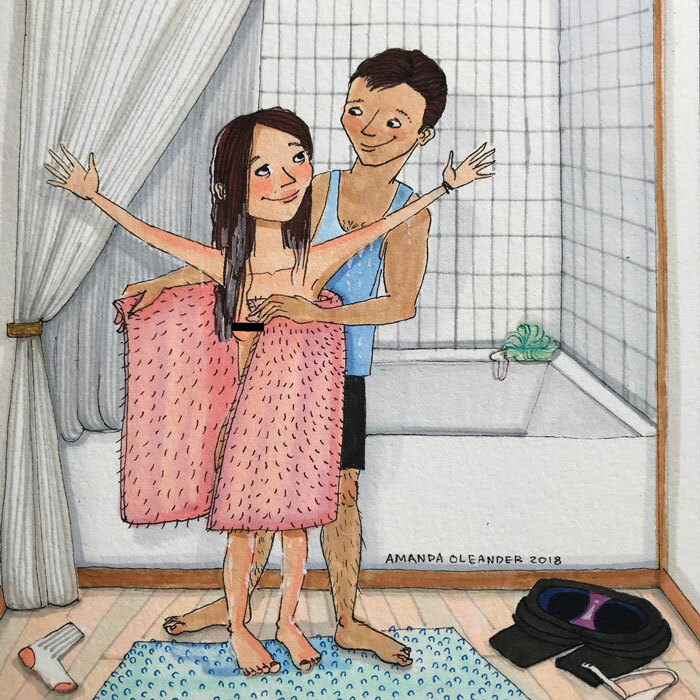 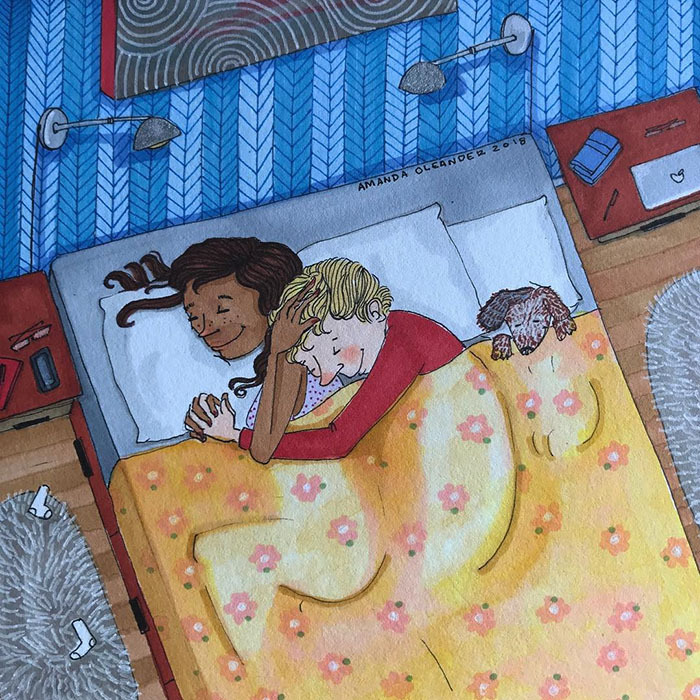 Drawing inspiration from her own romantic relationship and collecting memories from people close to her, Amanda perfectly shows what love looks like when no one’s watching. 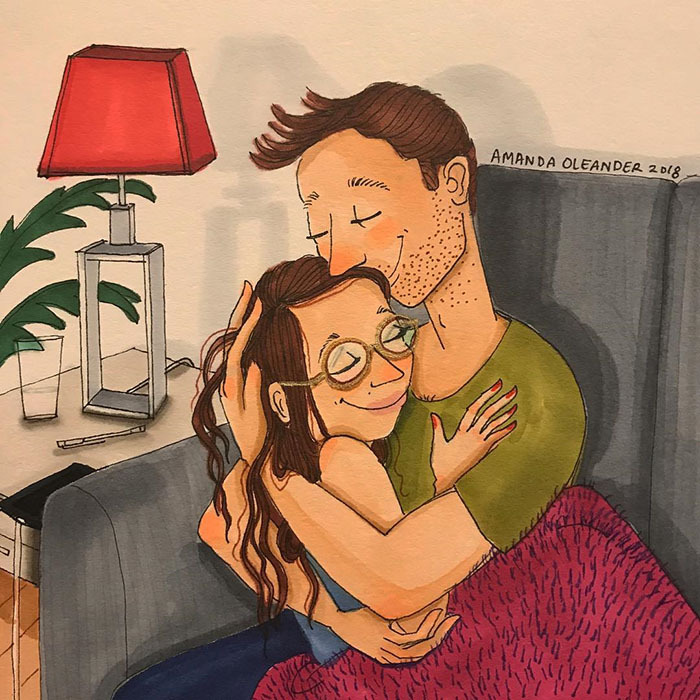 Currently, Amanda is crazy productive, meaning we can expect more of her work! 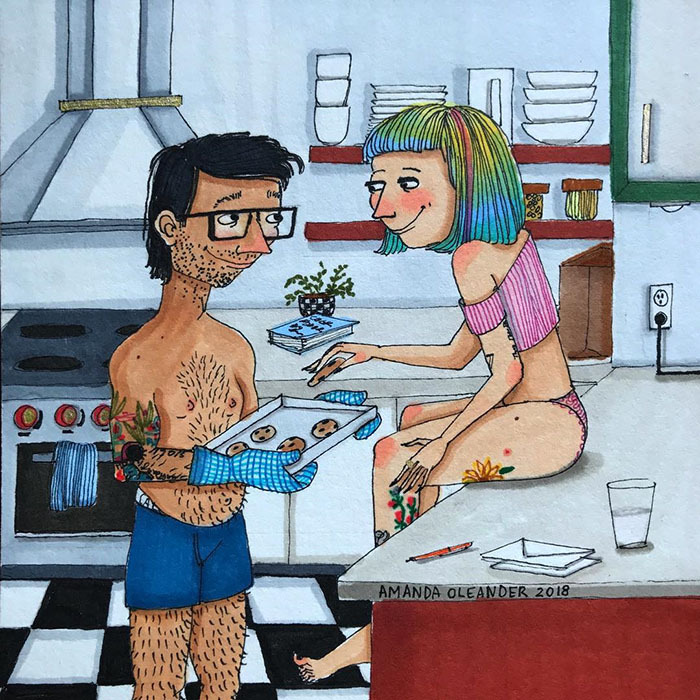 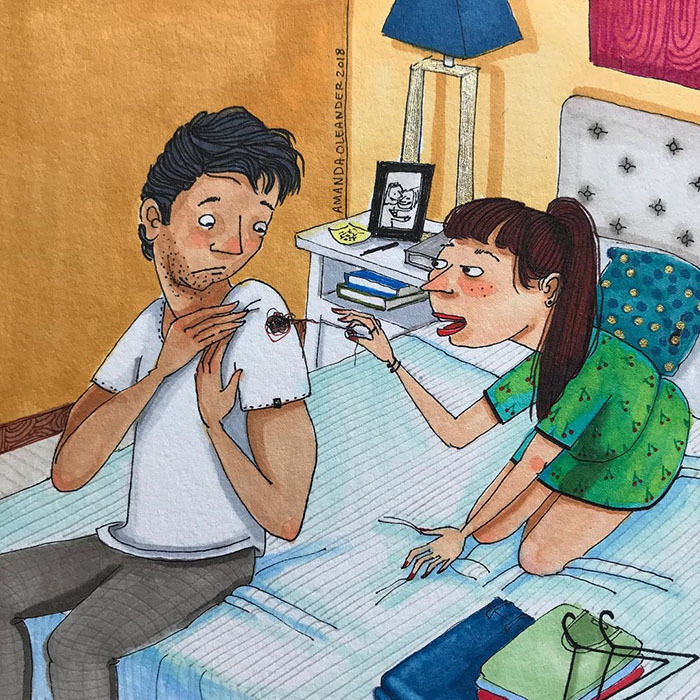 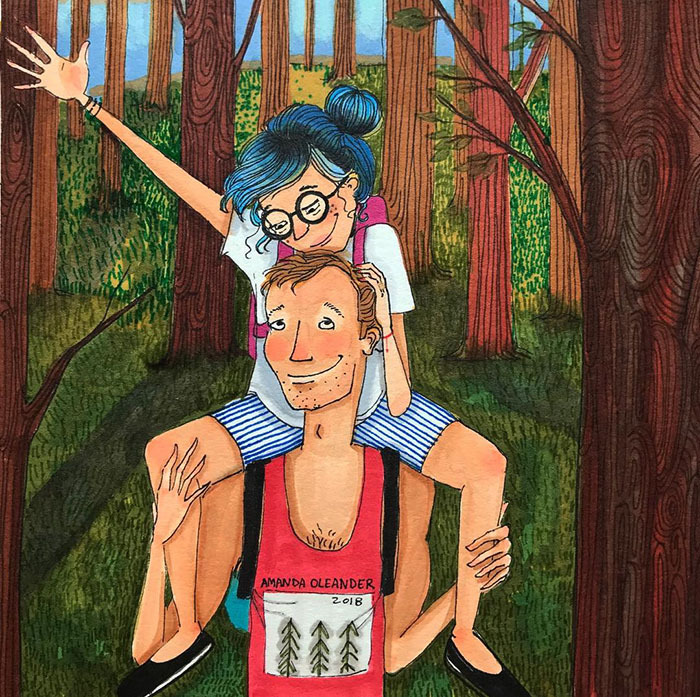 She has been drawing every day for 9 months straight and working on 3 large paintings at the same time she’s doing illustrations. 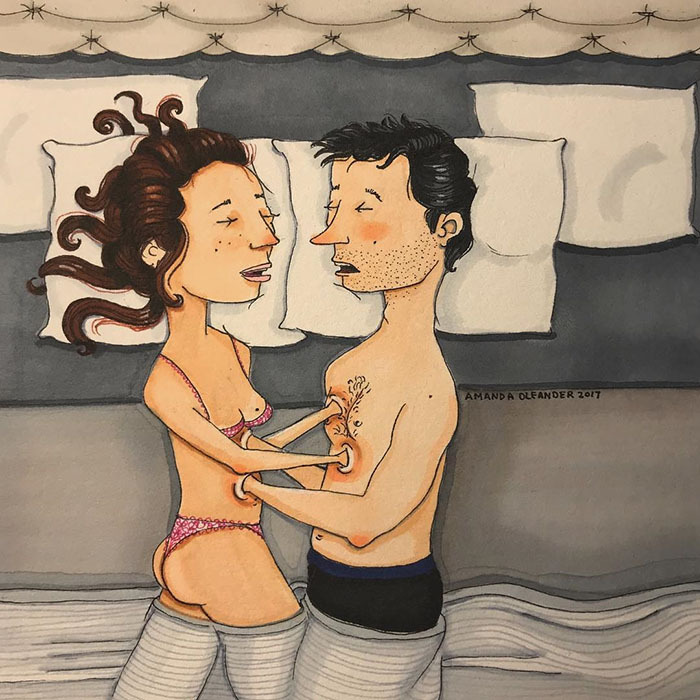 It even reaches a point when her wrists really hurt. 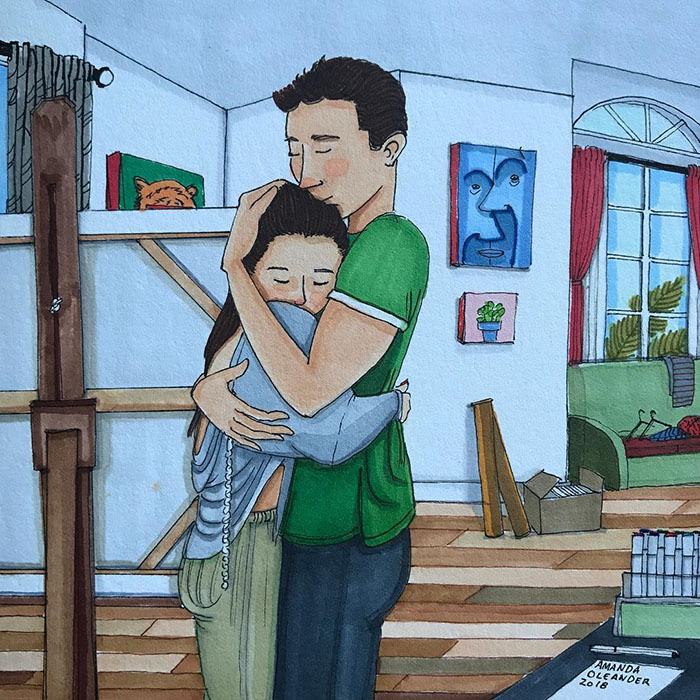 Scroll down to check out some of the best results of her dedication to art and upvote your favorite images!